If those lobsters are alive, that's just cruel. If not, I'm not sure why they're even there. Either way, that hot tub is a bit crowded, dontchya think? It looks like that baby has escaped the clutches of his dad's backpack. Don't jump! 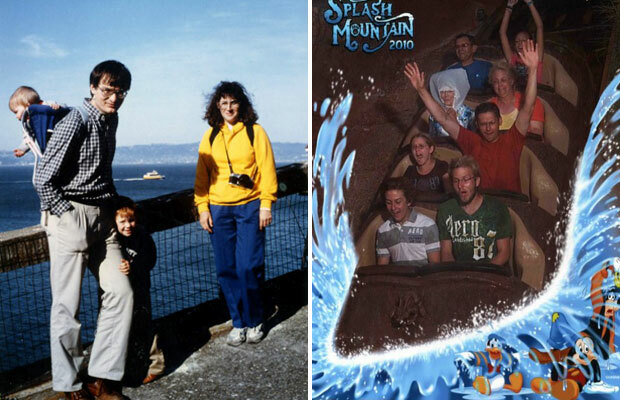 Shouldn't you just accept the fact that your hair (and body) is going to get wet on a ride called Splash Mountain? 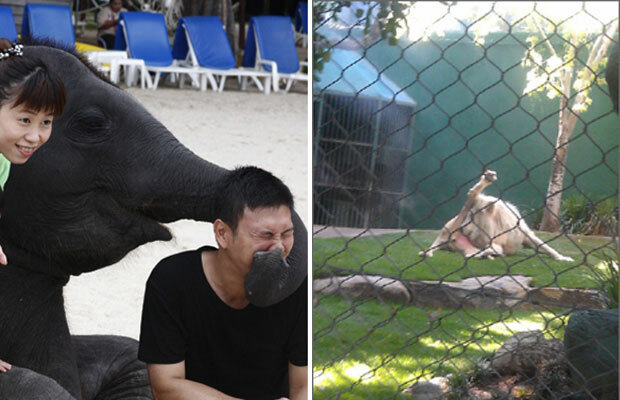 It's so considerate of the elephant to cover this guy's nose while he sneezes. I'm sure he wasn't going to do it himself. Much like my dog, this lion doesn't care who's watching while he does his daily cleaning routine. See more awkward travel photos here!